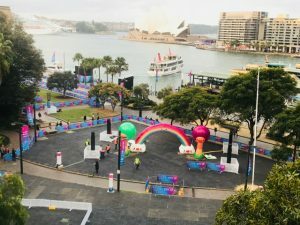 Get your staff, employees and business teams onto an exciting Amazing Races through The Rocks, Sydney that’s great for Team Building Activities ideas, music and light during VIVID. Let’s see who has the talent to accomplish the Rocks team building challenges, hidden around The Argyle Cut and Harbour Bridge Pylons to win the championship trophy in Sydney’s famous historic haunt. The Rocks team bonding amazing race is ideal for groups of 12-250 staff, employees, workers, leaders, managers and colleagues to enjoy the best Sydney Harbour’s inter-active fun team events. Over 1,000 events conducted. Awesome Rocks historic pubs with grub, full of character and charm. From the refurbished Orient, charming Argyle Stores, Fortune of War, Harbour View, The Lord Nelson Brewery, The Glenmore, The Australian, a terrific Wine Bar. Philips Foote, Bavarian Bier Cafe and many more secret pubs and restaurants. Hotels that our clients stay at include The Park Royal, The Russel and The Rocks or Shangri-La just up the Cumberland Rd from Bridge-climb. Experience excitement, challenges and a terrific thrill around Sydney Harbour. 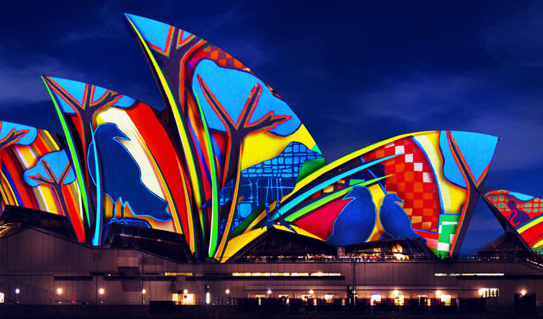 Extend the race area to include iconic landmarks of The Botanic Gardens, Circular Quay and Sydney Harbour. Be on Foot or jump aboard Water taxis, Red Speed Boats, Hummers, Harley Davidsons or even Jet Boats! 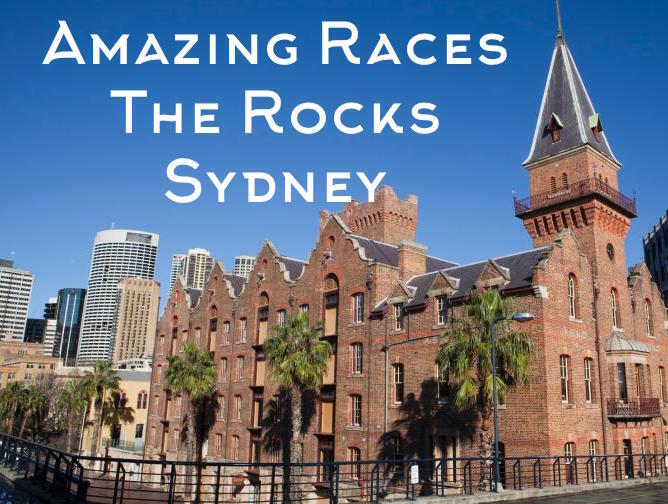 Established in 2005 as the Original Amazing Races in Sydney, The Rocks, Australia. With over 1,700 successful team building for staff and employees, hens, celebrations, friends and social events accomplished. We are bound to have a fun package for your team or friends. Our speciality is custom designed events for your team to make it the best yet! Ideal for corporate and business conference group team building activities in Sydney. Unique Special events for incentive groups. Fun activities for Social groups and Hens Celebration in the evenings and on weekends. Based on the hit reality television show amazing race all stars – all the features, but no eliminations! Are you ready? 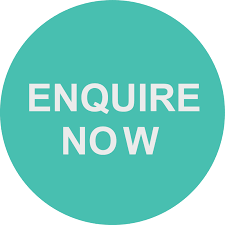 It’s time to Book in now for End Of Financial Year EOFY and Christmas Celebration Events. 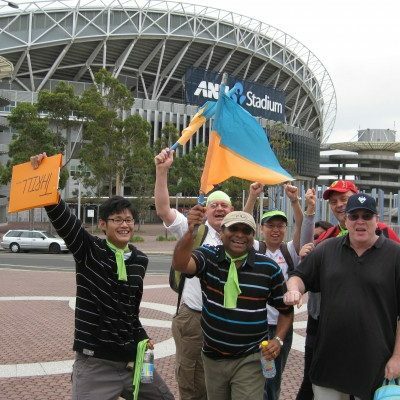 Select from a huge range of Sydney Team Building Activities and alternative Corporate Event Ideas like Sydney’s most remarkable Treasure Hunts with our friends at THRILL team events. Pitstops as the final location in The Rocks, Sydney. Darling Harbour, The City or around Circular Quay. Come along dressed ready for action! Fully packaged – so your team can just Rock up and get started! Are you Ready? Lets get Started…. Teams receive their first GO-GO envelope, providing instructions to the next registration mat to land your team on. Teams navigate through and around The Rocks to locate a series of fun activity checkpoints. Complete activities that will have your teams engaged and laughing with each other. A combination that is challenging yet balanced with creativity, physicality and brain power for all levels. Rocks Convict Cuff, Escape the hand Cuffs. Puzzles, Complete and match the puzzles to the Master mind. Quoits, a ye olde game for teams to play head to head! Mini Olympics Games, fun series of games from circus skills to tunnel ball! Minute 2 Win It – Facially Aware or Step it on Up! 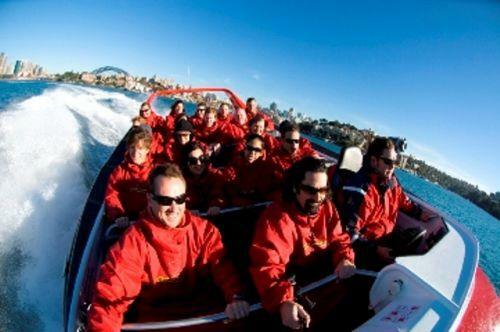 Jet Boating – most thrilling way to access and explore Sydney Harbour. Water Taxis, Connecting Sydney Harbour along with Luna Park, North Shore, Woolloomooloo, Kings Street Wharf, Darling Harbour, Wildlife World and Sydney Aquarium. Sydney Ferry, Catch ferries across Sydney Harbour a right of passage to Darling Harbour, King Street Wharf or Milsons Point. See the sights, right out from Sydney Harbour Bridge. Once arrived and registered at the next Sydney ROCKS Amazing Races checkpoint location. Teams receive an envelope detailing the next challenge: Eat, Ride, Draw, Paint, Sing, Build, Abseil, Climb, Race, Playing. With a balance of physical, cerebral, cultural and creative tasks for your team to compete in and enjoy! How does the program work for my team? Teams are continually tracked by our staff to ensure everybody is on track. Once teams successfully complete their team building exercises, another GO-GO envelope is presented. A sequence of registrations, challenges and route card, Go Go’s are continued until the final pitstop is revealed. Scores are tallied, the winners presentation is set…. The winners trophy is then presented to the Champion team with most points! Prizes, speeches and rewards are provided with panache. 5 Premium Corporate Team Building Events or Social Group Packages in The Rocks Sydney; Select Your’s! 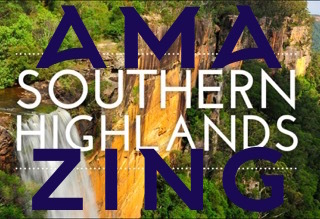 WOW FACTOR – Its more than sensational its about putting in the best activities from Jet Boats to Taronga Zoo and Bridge Climb over Sydney Harbour. Let us know what you want where the skies not the limit. Cars, On Foot, Kombis, London Cabs, Taxis, Uber, Water Taxis, Bike, Scooters, Harley Davidsons, Rick shaws, Jet Boats, Buses, Trains, Ferry or swim!!! Select 4-6 Hosted Amazing Race Activity Locations; – select your start and finish locations and we connect the two. Link your office, Sydney Airport or any starting Venue to Journey and Finish in Sydney CBD, The Rocks, Circular Quay or Darling Harbour. City CBD, The Rocks to Sydney Olympic Park with transport options. Custom made journey to any destination, dinner or event. 10-14 activities or challenges, mixed with Fun Race tasks. 2-6hrs – timing to suit your teams. Day or Night. Activity Locations with staff hosting and registering arrivals. – our most Popular amazing race format in Sydney. The Rocks Sweet Treats, Beer Tasting, Wine Tasting, Jet Boats, Water Taxis, Pool or Snooker, Minute 2 Win It Games, Mini Olympics Games, Quoits, Hula Hoops, Target Ball and many more. Cooperation – completing challenges & tasks effectively together. Leadership – stepping forward or encouraging the team through role modelling behaviours. Project and Time Management – essential strategies for winning! Planning – Racing in may be just the ticket, but planning will see you accomplish the task. Strategising and Prioritising are key features to success. Team Integration, it’s everyone in 100% to best of ability with their capability. Problem Solving and tackling the issues at hand. Fun so its absolutely enjoyable for everyone. Ask our Team to custom design your Amazing Race to start from your business offices, warehouses, factory or establishment and finish at a venue of your choice. Excellent quality activities with friendly staff that provide an excellent range of fun activities from puzzles to mini olympics to games and creative artworks to drinks. I love The Rocks, an amazing race will escape you directly from your Sydney CBD offices, Townhall, Wynyard or Martin Placce to a splendid Rocks Pub, Bar, Cafe or Restuarant to unwind over a nice glass of wine, beer or cider. Wow that was the best fun afternoon for CBA staff that I have been on. Racing through Sydney’s Rocks pubs, hidden secret lane ways and down to the docksides. Thanks for challenging my talents. The team building activities accomplished was great. Im now ready to take on the next series of the real amazing race Australia. Bring it on!